Jim Gentry: Acoustic and Electric Guitar, Melanie: Acoustic Guitar. This US release is basically Silence Is King, with the first nine tracks being taken directly from that album. (For versions see Silence Is King). 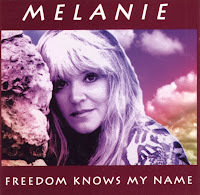 The remaining six tracks are from Silver Anniversary, and are included here as bonus tracks, except Freedom Knows My Name did not appear on Silver Anniversary, but was from the same recording session.